So much of the holiday is about the waiting – for that first snowfall, for the arrival of loved ones from far away, for the unveiling of long-hoped-for gifts and wishes. Anticipation is also what makes our Christmas Blend so tasty. That’s because the coffee’s magic comes from amazing, rare Sumatran beans that have been aged three to five years. In that time, they develop such wonderful spicy, cedary and syrupy flavours that our roasters can barely wait for the day each year when they can create this blend. Santa’s elves were never so giddy as we are. And we know how much you look forward to this blend too. You’ve been telling us how much it’s become one of your favourite holiday traditions, every year since 1985. 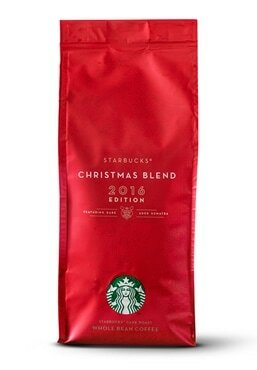 Starbucks® Christmas Blend seems to perfectly capture the holiday spirit. And surely that’s a gift to us all.